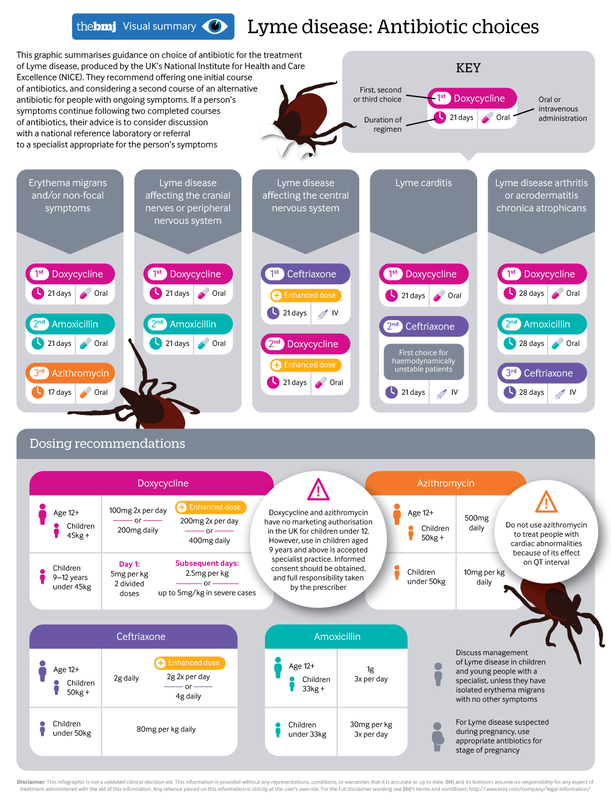 Lyme disease is caused by a specific group of Borrelia burgdorferi bacteria, which can be transmitted to humans through a bite from an infected tick. This can result in a number of clinical problems ranging from skin rash to serious involvement of organ systems, including arthritis, and neurological problems. People with skin and non-specific symptoms most commonly present to their general practitioner and are often treated in primary care, whereas people with symptoms affecting organ systems are commonly referred to specialists.